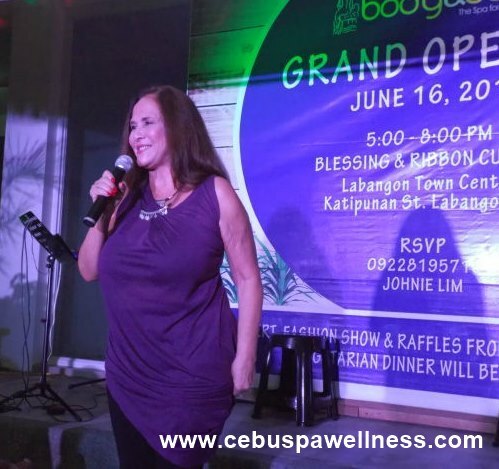 Body & Sole Philippines, one of the most recognized day spa franchises in Cebu, has officially opened its 58th branch at Labangon Town Center, Katipunan Street, Labangon, Cebu City last June 16, 2015. 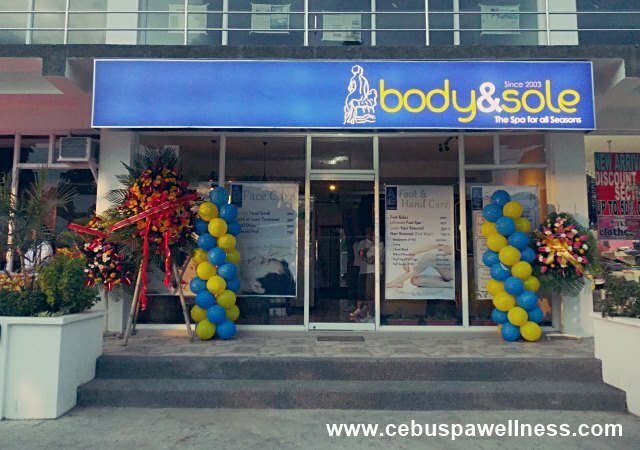 Since 2003, Body & Sole has successfully established its presence within Cebu and later expanded their franchise to different provinces in the country to accommodate the growing demand for relaxing but budget-friendly body and foot massage services. 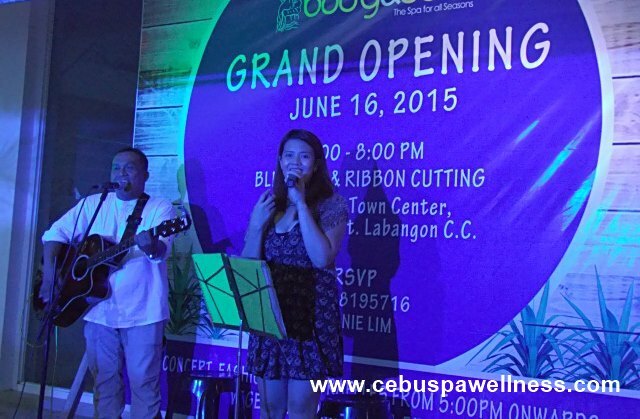 Their first ever spa salon branch is at Raintree Mall in F. Ramos Street which still stands strong up until today. If my memory serves me right, I was probably still in college at that time. 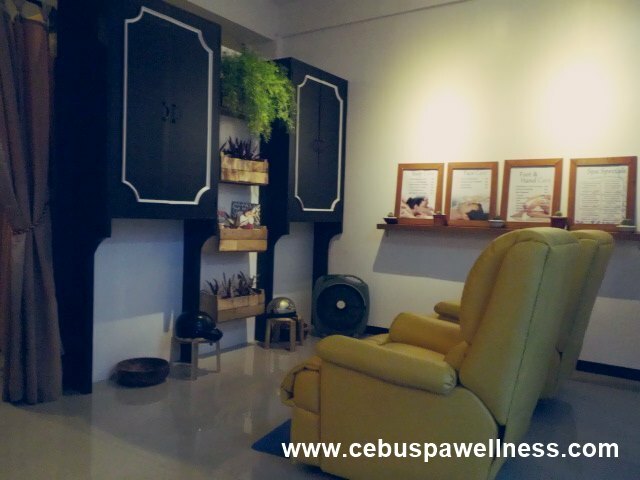 They offer a wide range of services such as full-body massage, body scrub, facial treatment and foot spa that starts for as little as P180. What used to be an extravagant outlet that’s only accessible by the rich and famous, having a quality spa treatment is now within reach by virtually anyone, even for those on a tight budget. I deliberately toured around the spa salon to give you, my dear readers, a glimpse of what you can expect inside before making that reservation. The size of this place is quite small and it sports a sleek, minimalist design. 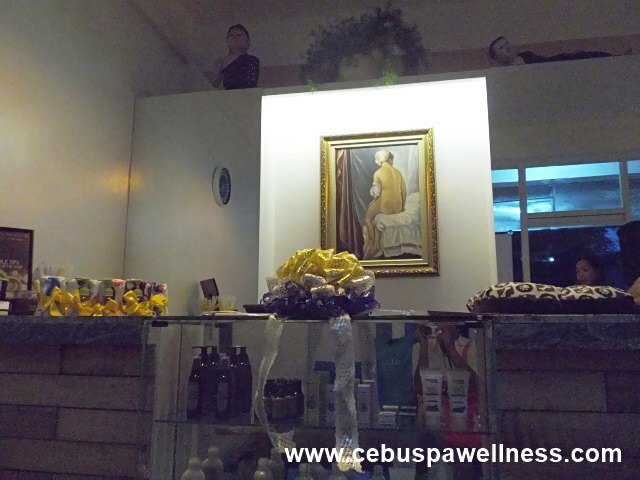 Everything looks extremely clean and the cozy ambiance will surely lure you to have a body massage pronto. I can picture myself sitting in one of these reclining chairs while having a soothing foot spa and reading a newspaper or magazine. Or I’ll probably just be sleeping because I’m too relaxed to notice anything. Either way, I have a feeling you and I will a great time just lounging on these chairs. This pint-sized fella right here is not really part of the staff but was brought here simply to bring smiles to the visitors’ faces. Who can ever resist this puppy’s cuteness? Awww, I want to cuddle with this cute puppy. 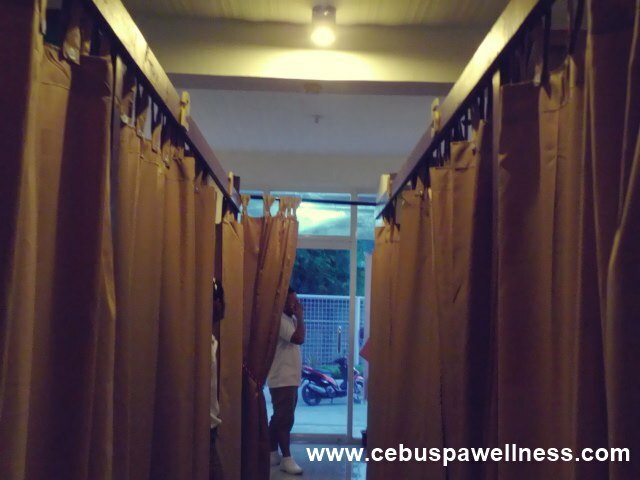 The entrance to each cubicle is covered with huge, light brown wall curtains that you need to whisk away before you get inside and plop yourself on the massage bed. The place is air conditioned and you can hear soft spa music in the background. Every cubicle has a single massage bed with enough space to move around and a room for privacy. Just what you need to keep you comfortable and relaxed. 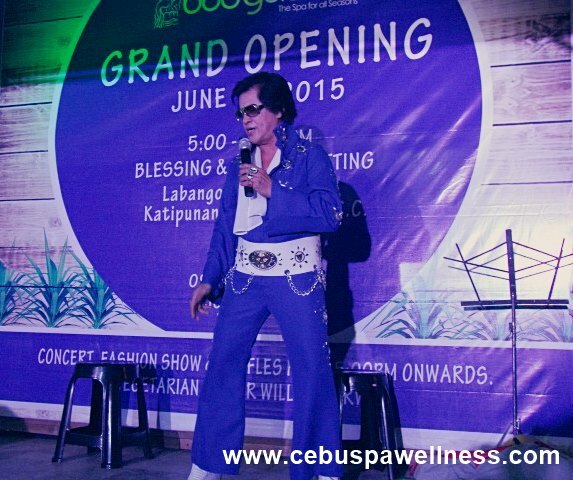 The grand opening also coincides with the 58th birthday celebration of their CEO and Founder, Mr. Johnie Lim. His dream to own his own spa has inspired him to build what it is now the Body & Sole franchise and its sister company, the Alibyo Botique Spa. It was a memorable evening well attended by his family, friends and business partners with a healthy treat of all-vegan dinner, live song entertainment from talented homegrown singers and birthday messages from some of his special guests. Here’s a few of the snapshots I took that night. I was blown away by their dynamic performance. Fresh from the grave, Elvis Presley looked all dapper in his outfit and signature moves that you can’t help but feel impressed at how suave he looks without even trying. Ms. Pilar Pilapil, a popular Filipino celebrity and one of Mr. Lim’s closest friends, gave an inspirational message that is both heartwarming and genuine, a testament to their rock solid friendship. She had nothing but kind words to the man who had her back in good times and bad. Mr. Lim and I don’t know each other personally. I was one of the bloggers invited to blog about this event. I just realized when I got there that it was a dual celebration–the launching of their 58th branch together with his 58th birthday. What could be better than that? I would like to extend my gratitude to him and his family for allowing me to be part of this very personal milestone in his life. I wish him all the best in his family life and of course, his spa business. May he continue to inspire more people to dream big and pursue their passion relentlessly. I’ve always heard of good things about this place but never got the chance to try it. Hopefully next time! You might want to join me on my next visit there. 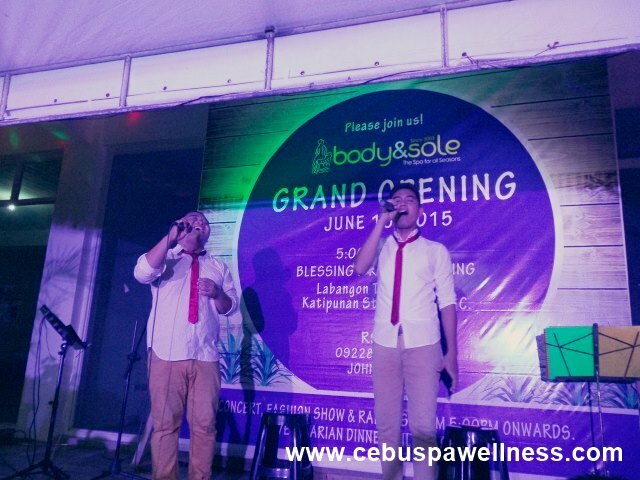 Cheers to Body and Sole for having more than 50 branches! Honestly, when it comes to massage parlors, Body and Sole comes to my mind first! Body and Sole has always been the default brand to me when it came to spas but I’ve never tried it out. I had no idea though that it was so popular! Congratulations to them and thanks for sharing! You might want to try them out first and see if you like it. Their massage is one of the cheapest in town so there’s harm in trying them. Hi. Body and sole is not the cheapest, me and my husband had tried also a spa nearby body and sole. It’s name is NEXUS Massage & Spa. It’s few distance away from Mang Tinapay Bakeshop and Quality Drug Pharmacy at crossing A. Lopez St. Labangon. Their rate is 200 pesos for the 1 hour relaxing whole body massage. Their massage is reaaly great and had likewise give us the comfort of what we looked for. Good thing also is you may choose shiatsu, swedish, thai or all of the above in 1 massage service at same rate 200 pesos for the 1 hour massage. That time, me and my husband were given a VIP card wherein they will going to sign it every time you will have a massage. the purpose of the signature is on the 5th signature you will be given a 50% discount and on the 10th service is totally free massage. Last Saturday we were given both 50% discount coz it’s our 5th time already. Thank you NEXUS Massage & Spa. Thank you also Jazmine for allowing my post. God bless. Hi Aida, thank you for visiting my blog. It’s true, B&S is not the cheapest but still one of the best value-for-money spas here in Cebu, in my opinion. I have not gone there at Nexus yet, nor have I heard of it, but I will visit it one of these days. I’ll let you know how my experience goes, just follow my blog for more spa updates. Thanks again. nice to see they allow pets inside! a plus for me. 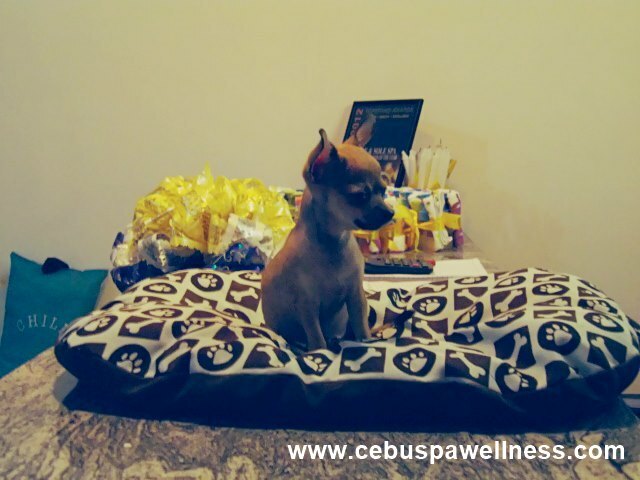 This miniature chihuahua is owned by one of Mr. Lim’s children and he is so adorable he could fit inside your palm. I’m not sure if they really allow pets inside but I think you should call and ask them first before tagging your pets along. Sayang, I missed this. I love how the place looks like- it’s cosy and quiet. 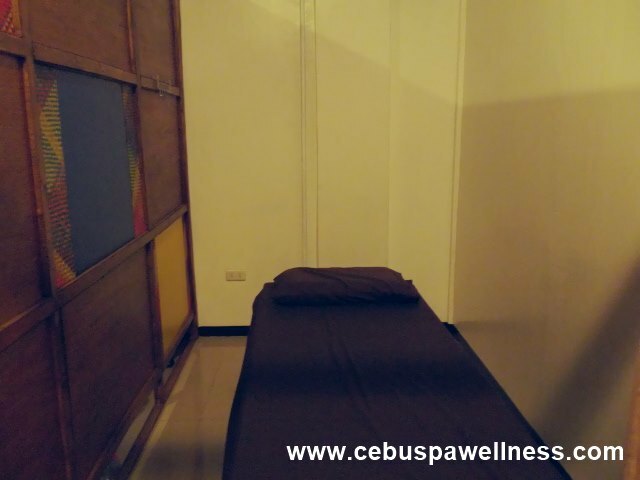 You’ll sure have a peace of mind and a good relaxation over a full body massage with this place. Yes, the place is really cozy and anyone will surely have a relaxing time there. This is very interesting! 🙂 I haven’t tried Body and Sole before but I will definitely try this once I am not so busy. I need to make sure that I will be enjoying every inch of massage here 🙂 Sometimes, i need to chill and relax since ive been out and about in the outdoors. Thanks for sharing this! You’re welcome, JL. When you have the time, visit them in their Katipunan, Labangon branch. They are currently having a 20% discount for all their spa treatment. Take a break once in a while and enjoy a massage. You deserve it after all your hard work.